Now that United, by the skin of their teeth, managed to book their place in Stockholm in 11 days time, the final 3 games for the Premier League season come around thick and fast. The first is a trip south to North London in what will be former title chasers Tottenham Hotspurs’ final match at the historical White Hart Lane. United will come into the game buoyed with confidence following Thursday’s draw against Celta Vigo which saw them through to the Europa League Final. Spurs on the other hand will have been watching their screens last night hoping Chelsea wouldn’t grab a win to seal the title; in the end they did. Spurs have little to fight for now but with no International tournament in the summer and Mauricio Pochettino looking ever more likely he’ll be around for 1 more season, the North Londoners will be looking to finish on a high as their bane of the season, Chelsea, knocked them out of the FA Cup. They may not be league champions this season but Spurs have undoubtedly been a very good side before their deflating defeat at West Ham last Friday which handed Chelsea the opportunity to clinch the title much sooner than expected. Prior to that match was a 9-match league winning run in which they scored 25 goals and conceded just 4. They also had another winning run, taking down Chelsea on their way, in the Christmas period which began after their loss to United at Old Trafford. Harry Kane & Dele Alli have contributed with a combined 38 goals in all competitions this season and Christian Eriksen has chipped in with 12 assists, also with 8 goals himself. South Korean Heung-Min Son has also hit the heights this season with 12 goals to his name and Eric Dier, who numerous people believe should be Michael Carrick’s replacement, has performed well throughout the campaign. As well as goals, their stable defence (broken up this season more than last, notably through injuries) has kept them in the title race for 35 games. That game at Old Trafford was a huge turning point for United. It was the first time they had won a game played directly after a Europa League match after 5 attempts failed previously. The week before, a last minute penalty given away by Marouane Fellaini had United hugely deflated at Goodison Park and getting past Zorya Luhansk in midweek to reach the round-of-32 in the Europa League wasn’t enough to lift spirits just yet. Henrikh Mkhitaryan did however, showing just what he can do with a goal and forced Danny Rose to injure him to stop him terrorising Spurs. Rose could return from a lengthy knee-ligament injury for the match this weekend. United managed to pull through and won 1-0 back in December. United found a winning mentality from then on, recording an 8-game winning run themselves over the Christmas period. 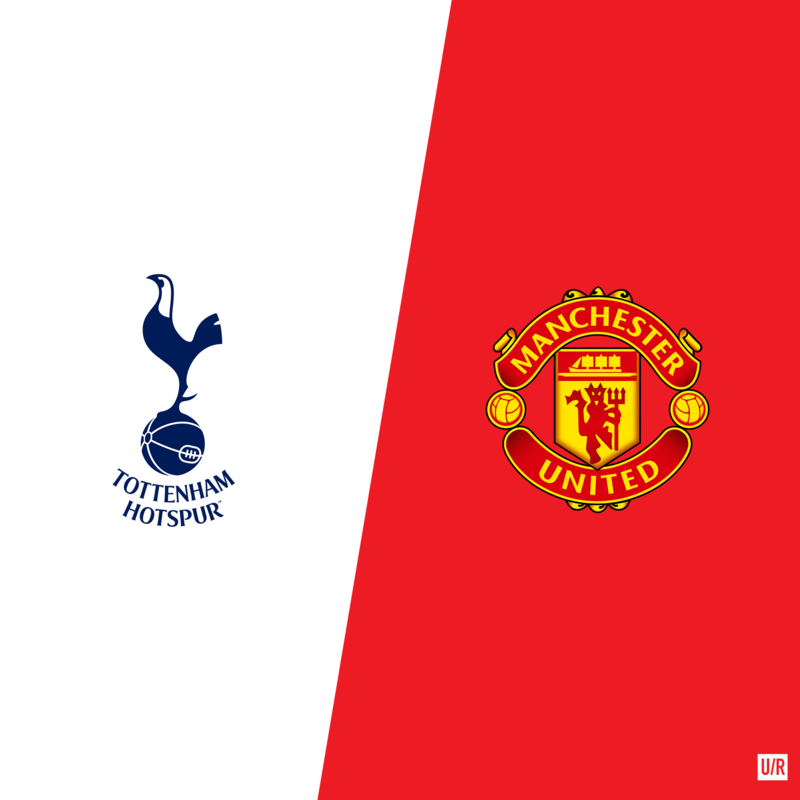 Both sides haven’t achieved their domestic goals this season but as Spurs look to next season, United must focus on the here and now. José Mourinho will likely be planning 4 teams for the final 4 fixtures already. Those being Spurs (A), Southampton (A), Crystal Palace (H) and the Europa League Final against Ajax. Mourinho is likely to rest a handful of the players this weekend, play his possible Europa League Final team at Southampton and then flood the side with youngsters for the Palace game. With Eric Bailly suspended for the Europa League Final, he is likely to play all 3 league matches and Chris Smalling could partner him at White Hart Lane. Axel Tuanzebe may well come in a right-back and Daley Blind at left-back as United will likely narrow their back line as they try to deal with the onslaught of Spurs attackers and wing-backs. United could opt to return to 3-at-the-back, with that system countering both Rostov’s and Chelsea’s well in the past few months. With Marouane Fellaini serving the last match of his ban, Michael Carrick could start against his former side despite Spurs’ pressing; something Carrick did not fair well against in his first-half role at home to Liverpool in January. United have no new returning men from injury coming back into fold so Juan Mata, Wayne Rooney, Antony Martial and David De Gea will be expecting to start and one of Henrikh Mkhitaryan, Jesse Lingard and Ander Herrera, who could combat and stop Spurs’ crucial Mousa Dembélé, are likely to be rested. Tottenham will still be without young midfielder Harry Winks and Argentine Erik Lamela. Spurs are intent on playing the game not the occasion and United will be hoping there is no repeat of their late-loosing part, in Upton Park’s farewell match last season as the atmosphere is sure to be as electric. United must pick up 3 points if they are to give themselves a good chance of reaching the Champions League via the Top 4 in the Premier League which seems more and more unlikely.